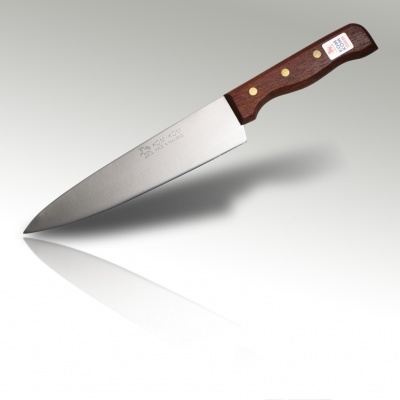 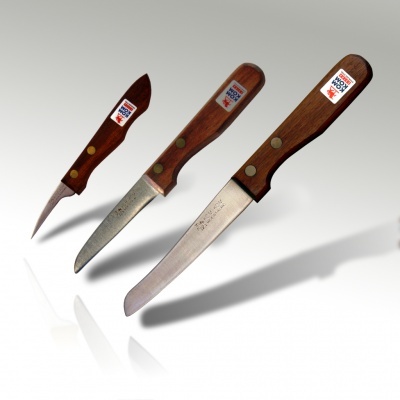 504 - KomKom 3" cheese knife with a wooden handle. 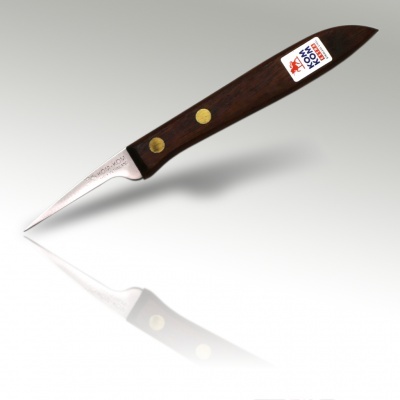 A lovely little cheese chopper. 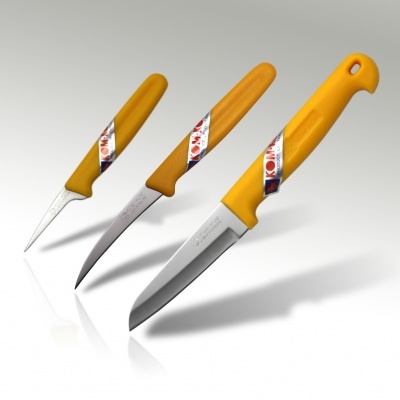 002 - Kom Kom fruit carving knife with 2 inch blade and yellow plasic handle. 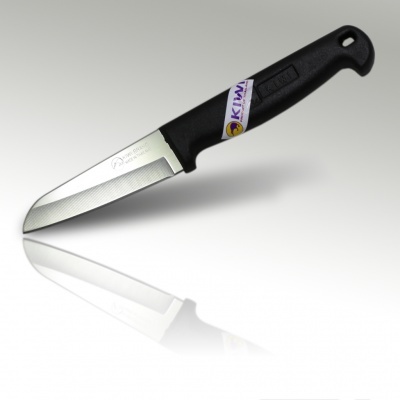 003 Kom Kom 2" carving knife with a hardwood handle. 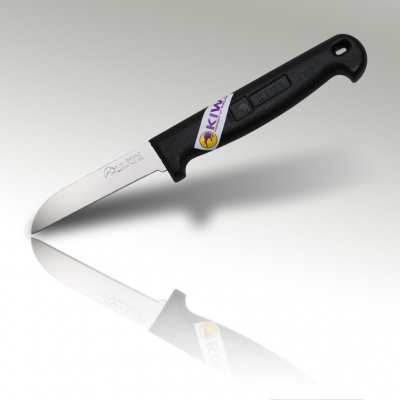 193 - Kiwi Brand 3" fruit carving knife with a black plastic handle. 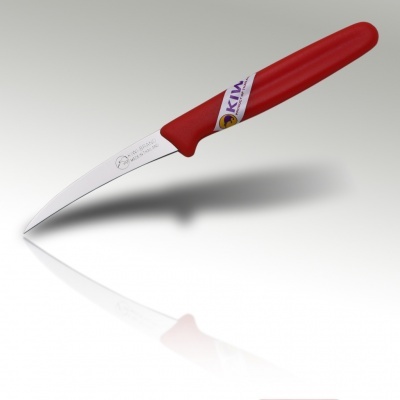 001 - Kiwi Brand 3" carving knife with a red plastic handle.